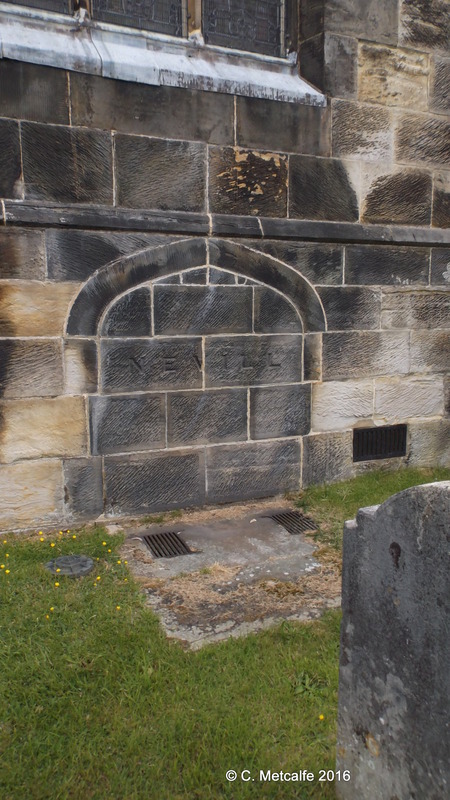 There are 2 stone arches outside the church, one on the wall to the right of the south door, and one a bit further along in the chancel- the section that projects out eastw ards. They look like bricked up doorways. They are the entrances to family vaults used in times past. 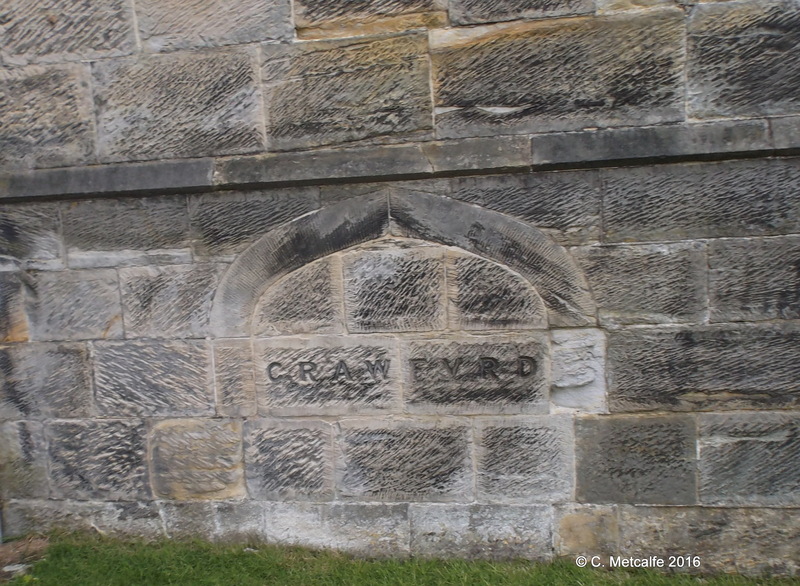 The one nearest the church door has the name ‘Nevill’, the second the name Crawfurd. 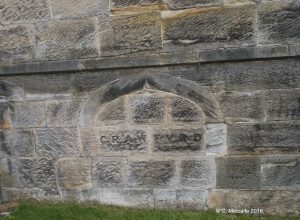 The Crawfurd family vault is underneath the chancel. It may have been outside the church originally, and extended during the rebuilding of the church, after the fall of the tower in 1785. 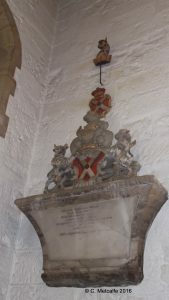 Near the altar, there are monuments to members of the Crawfurd family, dating from 1723 to 1855. The Nevill family vault is under the Memorial Chapel and contains the bodies of 20 members of the family. The first was Lord Abergavenny who had the house at Kidbrooke built, from 1735. He died in 1744. 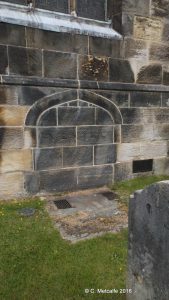 The first Earl, who died in 1785, and the second, who died in 1843 are amongst those lying in the vault, which was in use for about 100 years. Two tributes to the Nevill family hang inside the church, on the south wall. A splendid stone ‘achievement’ or coat of arms hangs in the Memorial Chapel for Lord Abergavenny, who died in 1744. This includes an heraldic beast’s head mounted high up on the wall. This monument is thought to have been sculpted by Peter Scheemakers (1691-1773), a Flemish sculptor who came to England in 1716 and created the monuments to Shakespeare and Dryden in Poets’ Corner, in Westminster Abbey. The second Nevill monument is a funeral hatchment, a diamond shaped wooden panel, with the Nevill coat of arms painted upon it. 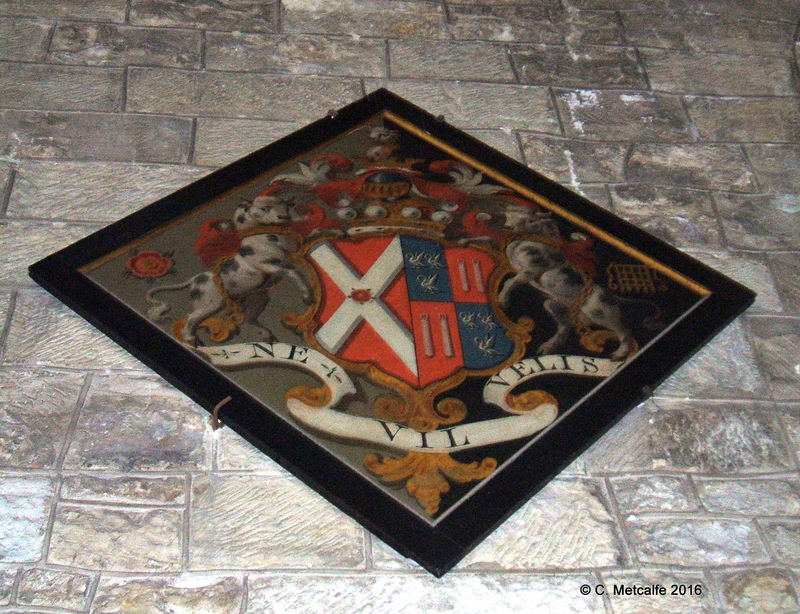 The motto ‘Ne Vil Velis’ is a pun on the Nevill name. It means ‘form no mean wish’. Hatchments like this can be found in many old churches in England and were used at funerals of the landed classes.